Make yourself at home in one of the 308 air-conditioned rooms featuring minibars and flat-screen televisions. Your pillowtop bed comes with Egyptian cotton sheets. Rooms have private furnished balconies or patios. Complimentary wireless Internet access keeps you connected, and satellite programming is available for your entertainment. Bathrooms have designer toiletries and hair dryers. Featured amenities include complimentary newspapers in the lobby, multilingual staff, and an elevator (lift). Guests may use a roundtrip airport shuttle for a surcharge, and free self parking is available onsite. Take advantage of recreation opportunities including an outdoor pool and a spa tub. Additional features at this Victorian hotel include complimentary wireless Internet access, a fireplace in the lobby, and a picnic area. 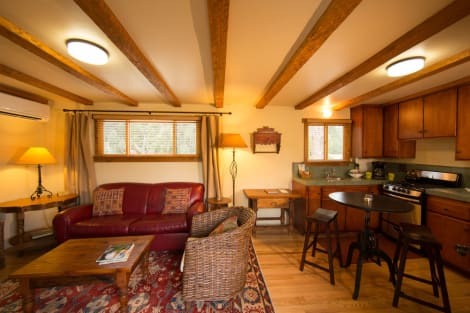 lastminute.com has a fantastic range of hotels in Ojai, with everything from cheap hotels to luxurious five star accommodation available. 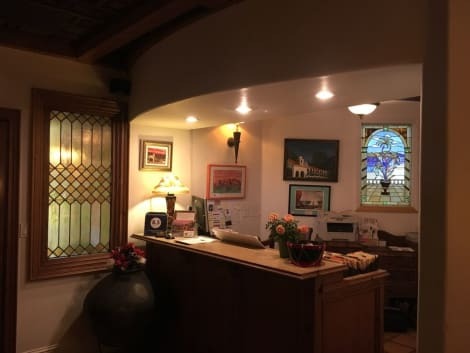 We like to live up to our last minute name so remember you can book any one of our excellent Ojai hotels up until midnight and stay the same night.